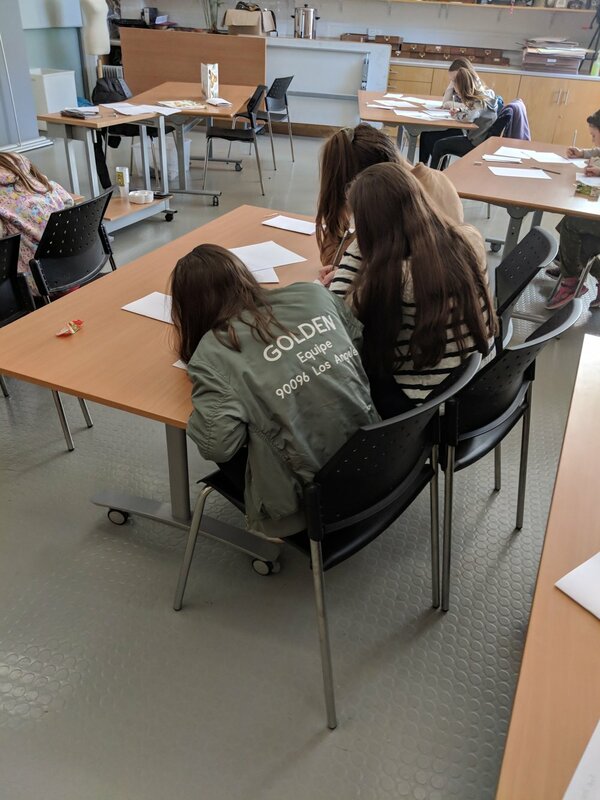 During Belfast Design Week, Womenfolk took part in Designers of The Future - a number of workshops working with young girls in order to encourage them to pursue a career in design. We wanted to share some behind the scenes images of the events and share what happened throughout the day. This event included a multitude of different aspects that are involved in the publishing industry, that includes the creative careers such as story-boarding and illustration, not solely of cover art but also of the characters within creative writing. The facilitator, Gemma O’Neill created a perfect environment to support the girls which included showing the attendees her own book for inspiration. In this workshop we were joined by Can Do Academy, who served the girls with iPads and Lego in order to create their own stop-motion animation. This is just one of the many careers that are involved in film, others include 2D and 3D animation, Special Effects and Modelling. It was fascinating to see the girls come up with their own storylines and create a short film in the time given. This event was facilitated by Thread and Ink collective. This workshops gave the girls the opportunity to start thinking about design in terms of the community and architecture. 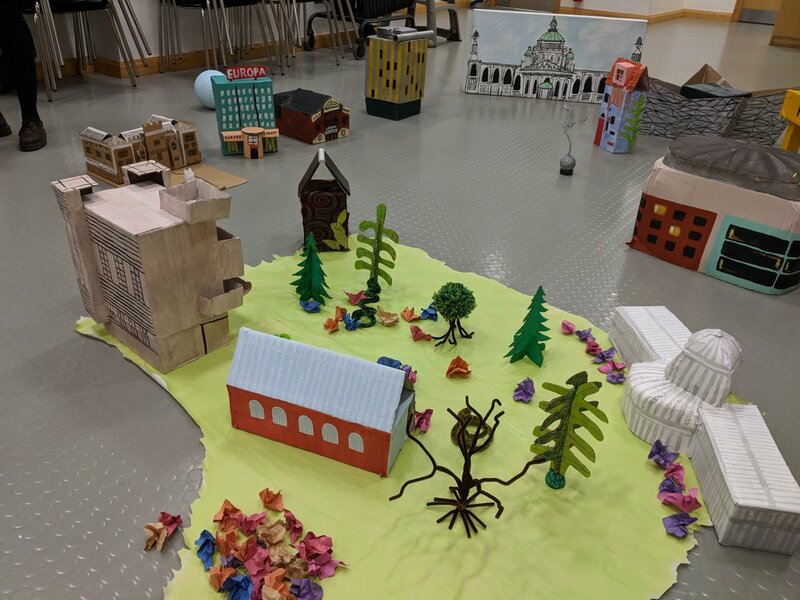 They were given a cardboard display of Belfast and asked what they would like to add or takeaway from the city. Design it. Make it. Take it (away). SheSaid design encouraged the girls to create a design based on an initial of their name which they then transferred onto a tote bag. 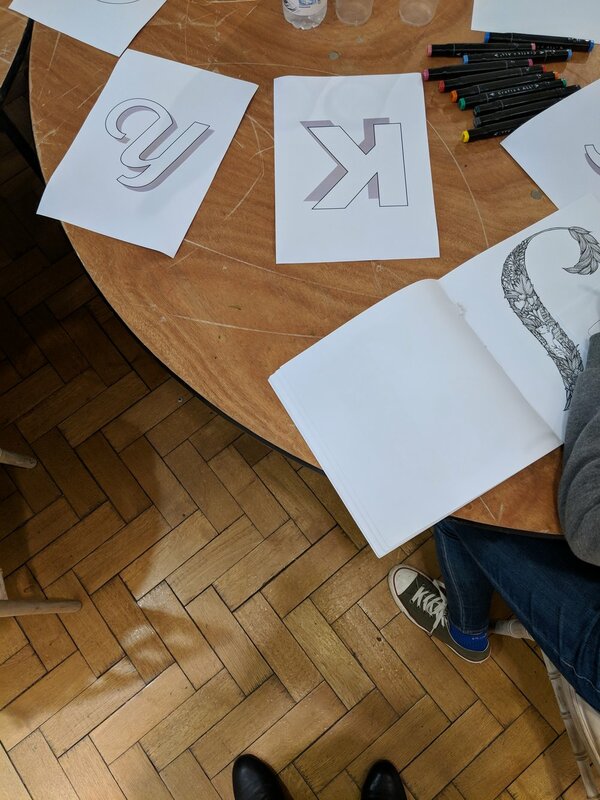 Not only did this workshop evoke thoughts about textile design but also to think about graphic design and typography. In this workshop, the girls worked together in order to design, make the graphics, and produce the sound effects for a new totally unique game using the software GameMaker, which is free and easy to use for coding games. Belfast Design Week is an annual week celebrating design which we founded in 2015. This year marked our 3rd year and our theme was Design Connections. Our team consist of many female design entrepreneurs and it was very important to us to invite other women design speakers to contribute to the conversation over the week as so often panels and events happen without extending an invitation to women design experts. At this year's Design Week, we had a Womenfolk event - Take5 - which encouraged local women design entrepreneurs to connect at Design Week through a breakfast event. Womenfolk's ethos ties into our beliefs too and we thought we would share our thoughts behind this year's "Design Connections" theme, as well as a few tips on how to connect with other design entrepreneurs. Belfast is becoming increasingly design-rich, but it is a small city in comparison with some of the established design destinations such as London or Barcelona. We are small, but we can collaborate and build strength and international reputation through our design connections. Join Up - There is an increasing network of groups dedicated to various things - entrepreneurship, social innovation, design networking and more. Join up to these and connect with people, but make sure you don't over-commit! It's better to go to a couple regularly than to sign up to 10 which you may never engage in. Some great local groups to sign up to our Womenfolk, The Design Salon, Young Influencers & Bank of Invention. Speak Up - Sometimes opportunities come to you, but mostly opportunities need to be created for yourself. The best way to make opportunities for yourself and your business is to speak up. If there's someone you'd like to get advice from, send them an email and ask them for a coffee. If there's an opportunity to share your story, sign yourself up. The more you put yourself and your work out there, the easier it will become to connect. Look Up - Northern Ireland is a great place to set up as a business, but don't forget to look outwards and think about whether you could be exporting your work internationally - be it a product or a service. Unless your work is focused towards local delivery - and there's plenty of locally - focused businesses that thrive - don't be afraid of accessing international competitions and grants and getting international clientele. Connect with designers and design studios worldwide, share your own tips and advice online and make the most of being a part of a connected world. The very reason we formed Design Week was to put Belfast on the world map as a design destination like Dublin, Portland or Copenhagen. These are just a few tips which we hope you find useful and perhaps you've also found some that have helped you to connect with other design folk, in which case do let us know! Belfast Design Week will be back in 2018, so watch this space.